A growing economy and a growing population also mean more construction. According to the Australian Bureau of Statistics (ABS), Australia has one of the highest rates of waste generation per capita in the world. 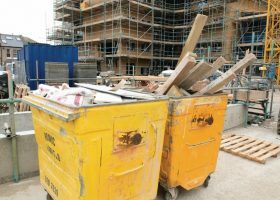 Although ABS figures show 55 per cent of construction and demolition waste was recovered and recycled, nearly 6 million tonnes still ended of up at landfill. This has led to a renewed commitment across the country to encourage best practice waste management and resource recovery for construction and demolition projects. As part of a waste engineering research program, Esteban Altabella, a student of the Master’s Degree in Energy Efficiency and Sustainability in Industrial Facilities and Building at the Universitat Jaume I, has devised a new calculation tool aimed at reducing the impact of this waste. One of the tool’s primary functions is to determine the technical and economic feasibility of the use of construction and demolition waste in the design, operation and closure of landfill sites, and improving the responsible management of existing ones. The new calculation tool, named Labwaste.12, includes more than 200 parameters and variables that must be taken into account when planning a landfill. The program’s development was initiated in a response to existing applications guiding manufacturing of structural concrete, employing the same principles in landfill management. By finding additional purposes for the otherwise useless demolition and construction waste, the tool reduces the environmental impact caused by quarrying. The landfill operators can also achieve substantial cost reductions if they employ the construction waste instead of landfill aggregate purchased from a quarry. The program estimates the aggregate demand in phases or periods of time to improve landfill management. It is also a multifactorial dependency tool that identifies the variables that influence a greater or lesser demand for aggregates and relates them mathematically. Labwaste.12 offers the possibility of using specific facts surrounding a landfill or, by default, use of the data averages already included in the program. It also provides information on other materials required in this type of installation, such as geo-membranes, pipes, geotextiles and more. Finally, the program provides a final report to check the entered data and automatically generates a budget with the required aggregate costs. The paper was awarded the prize for the best paper at the 17th International Congress on Project Management and Engineering that was recently held in Logroño (Spain), and is currently ready for release on the market.